RevitaLash was developed by Dr. Michael Brinkenhoff as a special gift for his wife, Gayle, while she was recovering from breast cancer. Intensive chemotherapy treatments had damaged Gayle's once-beautiful eyelashes, leaving them sparse, breakable and fragile. After extensive research with a team of talented cosmetic chemists, Dr. Brinkenhoff formulated an eyelash conditioner that, after just a few weeks, gave a renewed look of vitality to Gayle's eyelashes. Soon friends and family wanted to know Gayle's secret to beautiful-looking eyelashes. 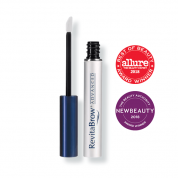 Gayle knew immediately the perfect name for the amazing eyelash conditioner that had given her eyelashes a renewed look of vitality: RevitaLash. RevitaLash will make your natural eyelashes spectacularly longer, thicker, fuller and beautiful, too. It is easily applied with just a single wand. 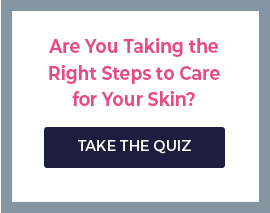 This dermatologist- and ophthalmologist-tested product is non-allergenic and has no evidence of change in iris color. What's more, it has been formulated with a thickener so it stays where applied, which means there is no seeping onto the surface of the eye and clinical tests show no effect on intraocular pressure after daily use. In clinical studies, 90 percent reported better looking eyelashes and 58 percent reported changes in eyelash appearance within just three weeks. It works and works fast! 58% reported changes in eyelash appearance within just 3 weeks! Easy Application – only need a single wand!